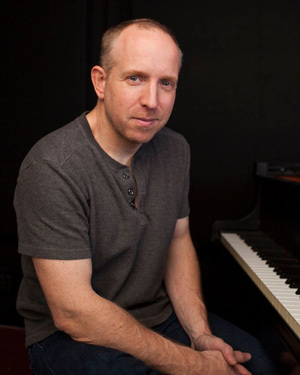 Joseph Akins is a professor, composer, pianist and keyboard player who has been deeply involved with music all his life. As a youngster, he played in bands and studied music at the University of Tennessee and Radford University. 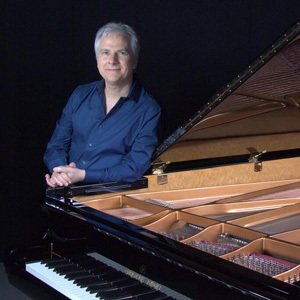 Over the past twenty years, he has released and self-marketed eight solo albums that have received award nominations or wins from Zone Music Reporter, Whisperings Solo Piano Radio and Enlightened Piano Radio. Many of these albums have appeared on the ZMR Top 100 Radio Airplay chart and have been chosen as "favorites" at MainlyPiano.com. Joseph has played a large number of concerts to promote his original music, but his most memorable gig was two nights at the Grand Ole Opry as pianist for singer-songwriter John Conlee. Today, Joseph divides his time between teaching music production as a tenured professor at Middle Tennessee State University, and writing, releasing, performing and promoting his music. Hans Christian's versatility as performer, recording artist, and music producer for over 30 years has created a legacy of concerts and recordings that have touched people's hearts around the world. 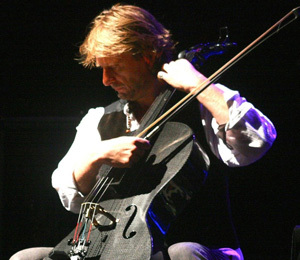 His unmistakable cello playing moves the listener with a haunting beauty, and his use of live looping and various ethnic string instruments expresses a universal musical language that transcends boundaries, cultures, and generations. Tom Eaton is a New England born multi-instrumentalist, producer and engineer. Tom opened his first commercial recording studio in 1993 and has been working as a full-time producer and engineer ever since. While deeply immersed in the folk music scene centered around Boston and Cambridge, MA for the next 17 years, a pivotal moment occurred when he met Grammy-winner Will Ackerman (founder of the pioneering music label, Windham Hill). The two soon developed a musical sense of simpatico that blossomed into a long collaboration producing more than 100 records in the past nine years for a huge variety of artists. Tom started writing his own instrumental music on piano and synthesizers in 1988, and his work draws heavily on the ambient, acoustic and electronic worlds of new age music. Heavily influenced by Tangerine Dream, Jean Michel Jarre, Patrick O'Hearn and Tim Story, Tom's textured landscapes provide support for his piano or electric guitar melodies, with atmospheric touches from his synthesizer collection, bass and perrcussion. Tom's first solo cds, Abendromen and Indesterren, both released in 2016, earned him the best new artist award at ZMR for that year. Currently signed with Spotted Peccary Records, Tom's next release will be in early 2019. Sangeeta Kaur (aka Teresa Mai) is a Vietnamese American award winning New Age/Classical Crossover opera singer, mantra singer, song-writer and producer. Sangeeta performs internationally, a unique blend of classical crossover and sacred music. 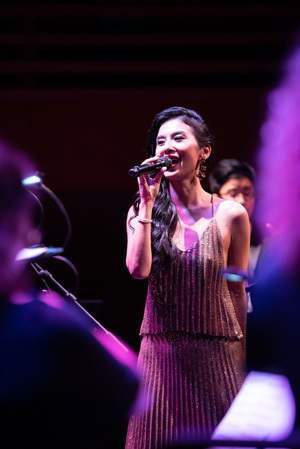 She has performed in venues such as Segerstrom Center for the Arts, MUSCO Performing Arts Center, Sydney Opera House, Melbourne Recital Hall, the Broad Stage and others. With her producer, Nicolas Neidhardt, Sangeeta recorded and released three New Age/ Classical Crossover music albums: “Niguma Vol, 1” (2016) and “Ascension”, Niguma Vol. 2” (2017). Her third album titled, “MIRRORS” was recently released on September 21, 2018 and is receiving raving reviews. Sangeeta is the founder of Empower With Art Productions, a non-profit organization and production company that is dedicated to bringing to the stage, new and transformative musical productions that have positive impact on the world. 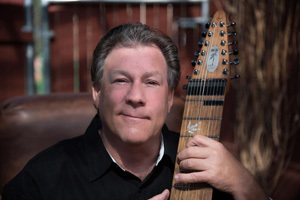 Michael Kollwitz is one of the pioneer players of a contemporary American stringed instrument known as The Chapman Stick. Capable of astounding expressiveness and simultaneous multi-part arrangements, 'The Stick' combines elements of guitar, bass, keyboards, and percussion into one instrument that is played more like a piano than a guitar. Michael has had 23 independent releases. His last three albums, 'Serenity I, II & III' have received international airplay, various nominations and are being played on both airlines and in hospitals. 'Serenity II' received Grammy nomination consideration and made the Billboard Top Ten New Age albums chart in April 2018. 'Serenity III' debuted at #3 on the Billboard Top Ten New Age albums chart in January 2019. Carlos Santana once described Michael's music on The Stick as "a gift of the heart."